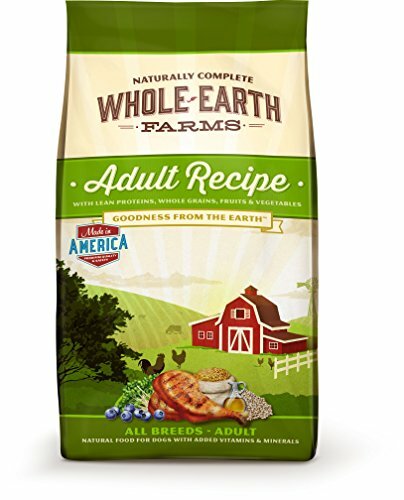 Whole Earth Farms dry food recipes were created as a truly holistic food at a value price, without compromising the quality of your beloved pet's food. We take the best, healthy ingredients from the earth and mix them into a delicious daily meal. 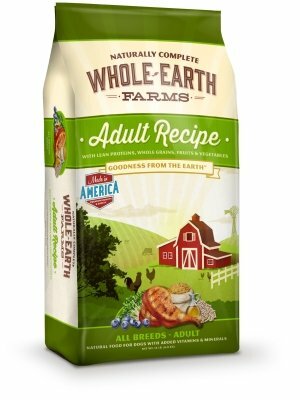 With multiple protein sources, vitamins and minerals, Whole Earth Farms provides your dog with the best the earth has to offer. 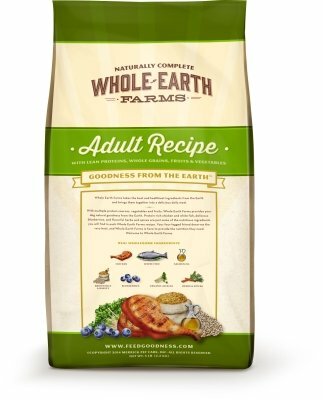 Multiple proteins including chicken meal and turkey, plus dried blueberries, flavorful rosemary, sage and thyme are just a few of the nutritious ingredients you will find in our Whole Earth Farms Adult Recipe Dog Food. Your dog deserves the very best when it comes to nutrition and Whole Earth Farms is exactly that. Like with all of our recipes, we put in only the best and leave out the rest. As a result, our recipes do not contain ingredients that many other brands do: No Corn, No Wheat, No Soy, No Poultry By-Products, No Artificial Flavors, No Artificial Colors, No Artificial Preservatives and No Ingredients from China. 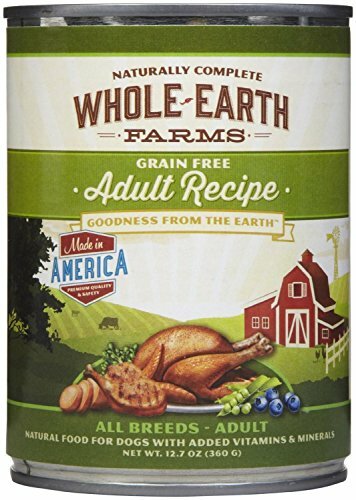 WHOLE EARTH ADULT 5LB "Ctg: OTHER PET FOODS - WHOLE EARTH FARMS DOG DRY"
WHOLE EARTH ADULT 15LB "Ctg: OTHER PET FOODS - WHOLE EARTH FARMS DOG DRY"